The shag cut is back as medium shags! You heard that right! Shaggy hair is back in fashion and fast becoming one of the trendiest cuts. Though, earlier, the shaggy cut was sported on short hair, now, it’s more of a medium-length hairstyle. 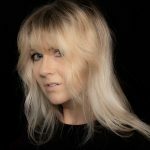 Before you raise your eyebrows, let me tell you one thing – once you get the medium shag cut, your morning styling routine will never be the same! If you are a DIY queen, here’s how you can cut your own hair in a basic shag cut. You’re welcome! Dampen your hair with the water spray. Comb your hair and mark how long you want your shag cut to be. Take another elastic band and tie it at the mark. With a pair of scissors, cut your hair just below the elastic band. Remove both elastic bands and check the layers. You can fine style your hair but feather the layers. Simply use the point-cut method and thin out the ends. This will create the shag effect. 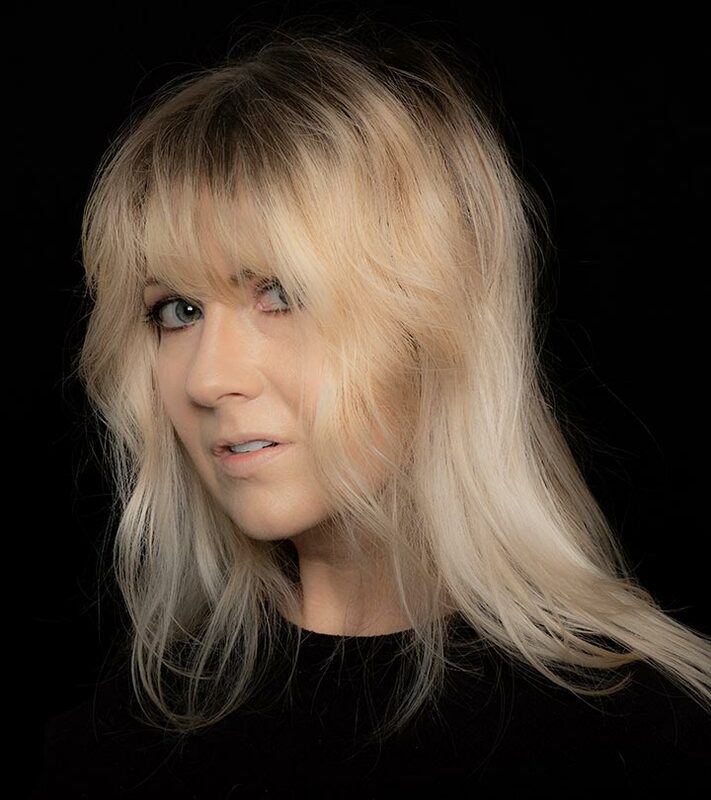 Now that you know how to cut your hair in a shag cut, let’s move on to how you can style it. Here are 30 stylish medium shag hairstyles to give you some style inspiration. This is a modern take on the classic shag cut. The shaggy layers have been cut to suit the layering trend of our time. 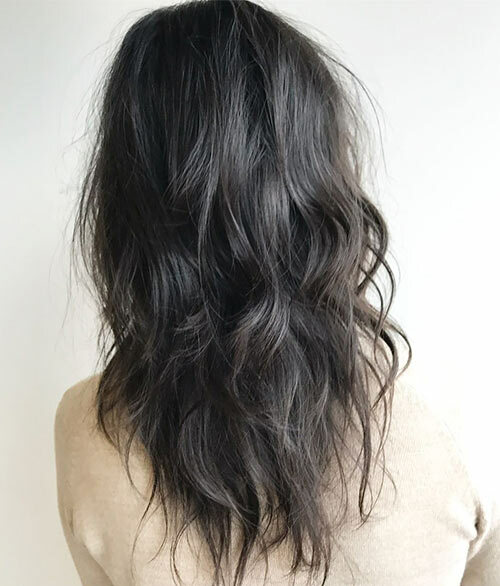 You can style your hair like this with the help of a round brush and a blow dryer. I get it, medium shags can be overwhelming for those women who don’t want their layers to stand out too much. Fortunately, the shag is a versatile haircut. 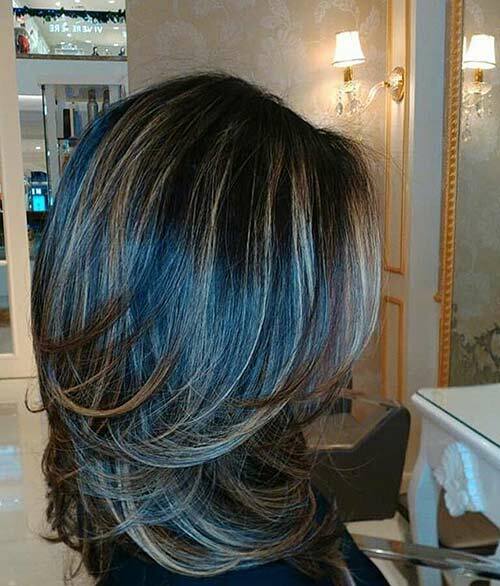 Opt for a toned down shag like this one. The shag hairstyle is all about volume with layers. 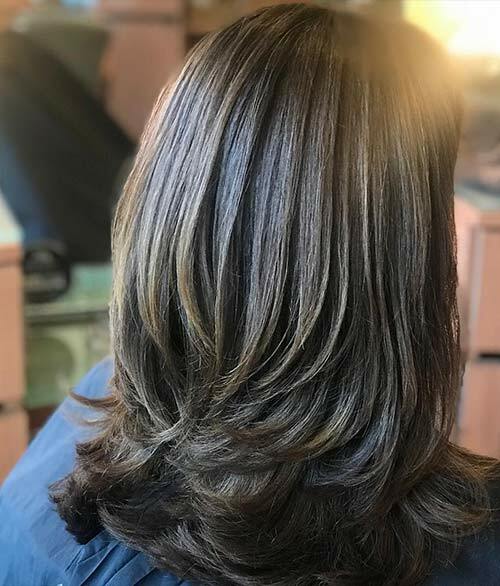 When you have deep brown hair, adding blonde highlights can accentuate your layers and make your hair appear thicker and more textured. Volume is a big issue for women with thin hair. The easiest solution is layers and curls. Adding layers will add depth and dimension to your tresses. 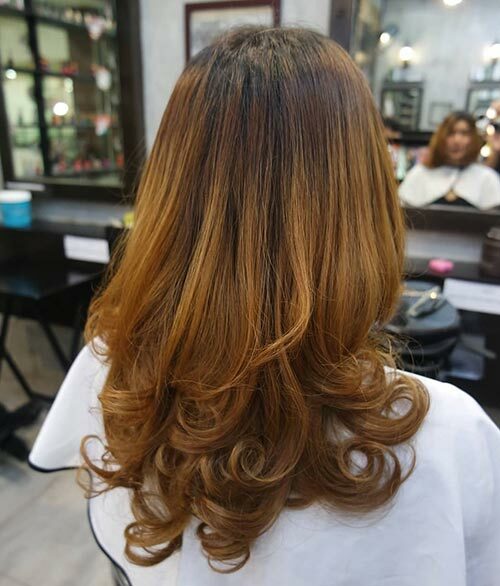 The curls will add a texturized contrast, making your hair look bouncy and lively. Women over 30 usually prefer this look among the medium shags. It’s easy to style, thanks to the heavy layers that start right at the top. On a bad hair day, you can also use the curls to cover up your problem areas! 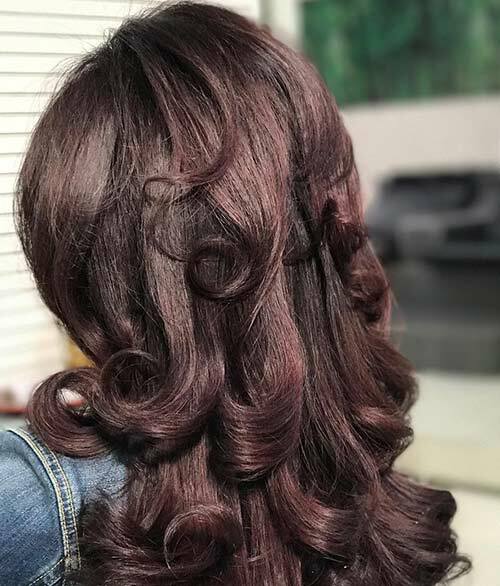 There are some hair colors that look great in specific seasons. For example, during autumn, you’ll notice earthy colors – like yellow, orange, and red – on display. 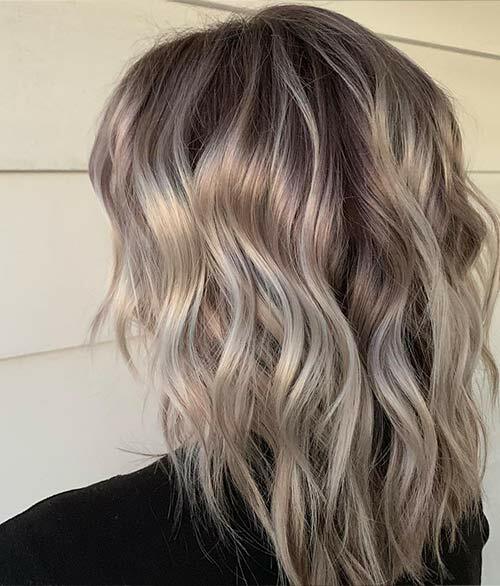 Going for colors like this honey dimensional blend will accentuate your shaggy locks during fall. 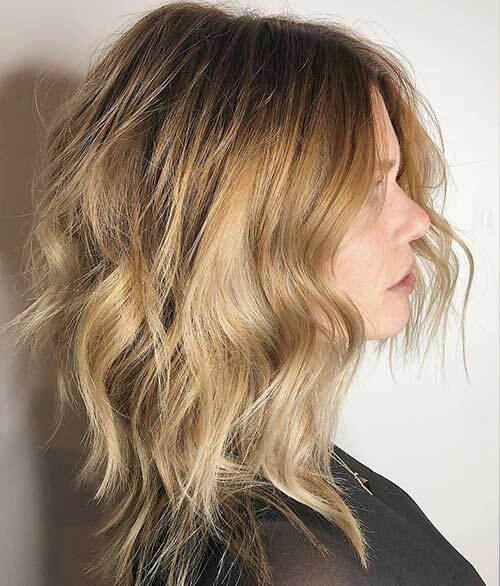 The wavy shag is one of the best beachy looks. 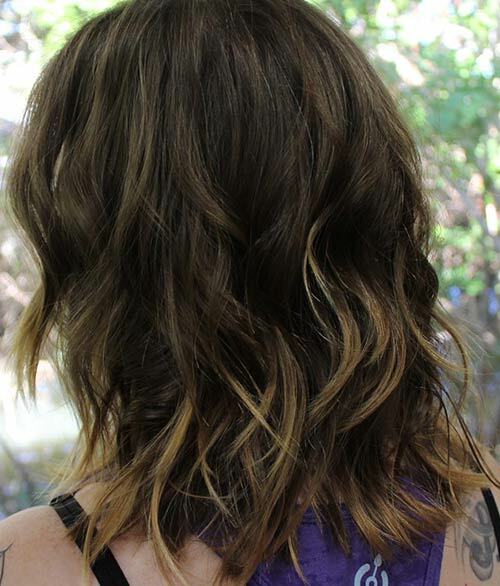 The layers and the wavy texture make your hair look like it’s been tousled by the sea breeze. 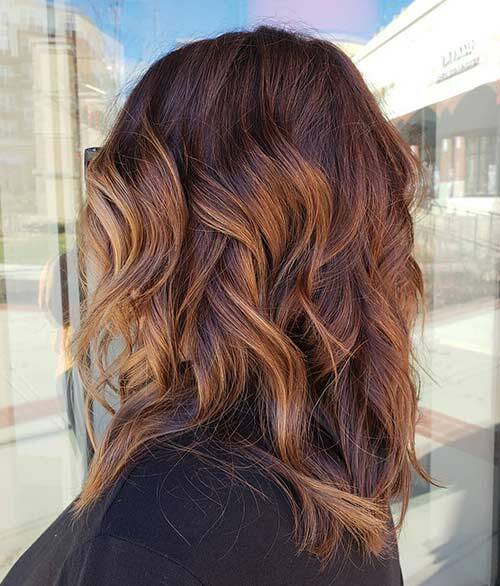 Add some highlighted tips to give your hair a sun-kissed effect. Ice blonde has been a trending hair color ever since Elsa belted out “Let It Go” in Frozen. It gives you the perfect ice queen look. Add a shag cut to it, and you’ve got yourself a killer look. I love growing out my hair, but split ends and dryness make it look dull. The shag cut is a lifesaver for these hair issues. Getting regular trims will keep your hair looking fresh. Notice how there’s actually one main layer in this medium shaggy layered haircut. It is dissociated from the ends and stands out. 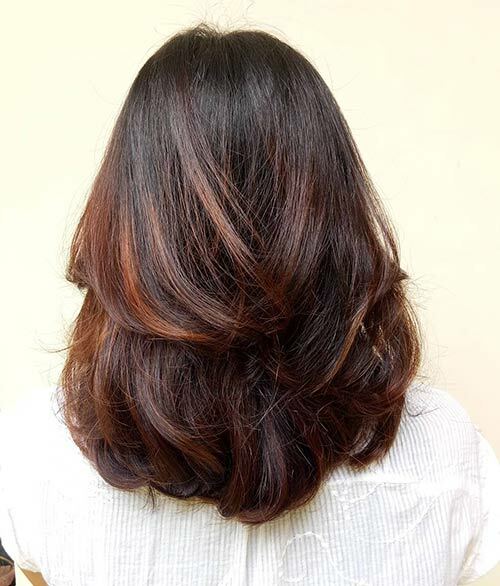 The red-hued tips accentuate the layers without looking too overpowering. This hairstyle was huge in the ‘90s. The only difference is it was shorter then. You can find innumerable celebs sporting this look. 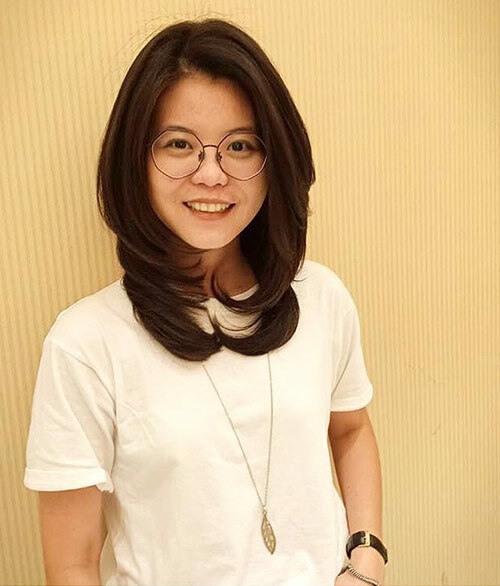 While it’s been gone for a while, it appears to be making a comeback with more teens opting for a medium length version of this cut. The modern shag is sophisticated, thanks to its layers that start a little below the crown. Rather than the “stand out” layers of the classic shag, the modern shag is more about subtlety and style. This is the perfect haircut for teens in school and college. 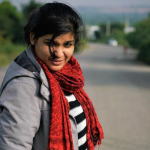 It has stylish layers without being too long, which makes it easy to maintain. If you tie your hair in a pony or a bun, the layers will make it look effortlessly fashionable. 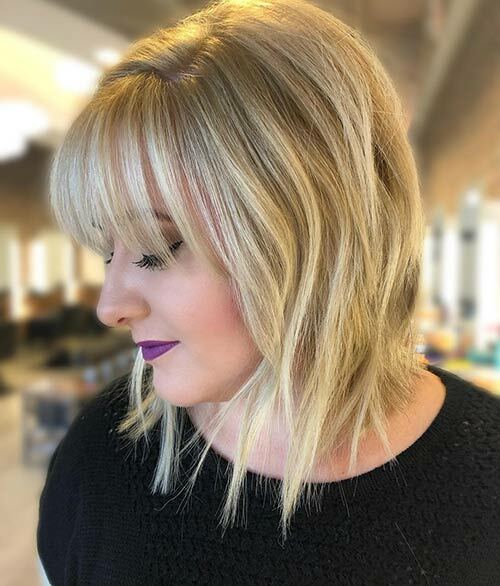 Multiple layers paired with side bangs make up this haircut. 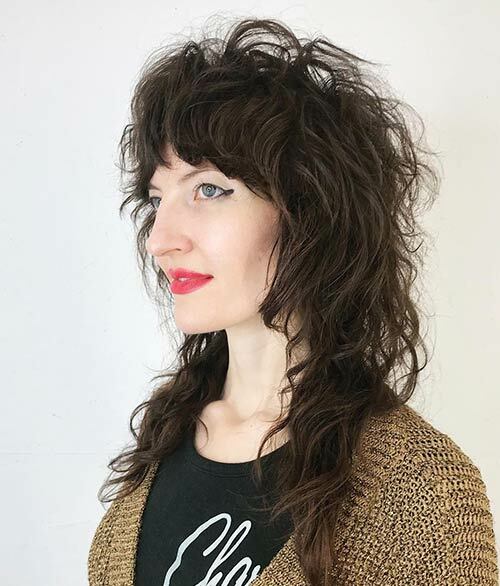 The medium shag with bangs make your face look longer and leaner. The multiple layers of flicked in and out ends accentuate your face shape and lines. The smooth shag looks super sleek. Its side layers are combed out while the back layers are curled at the ends. 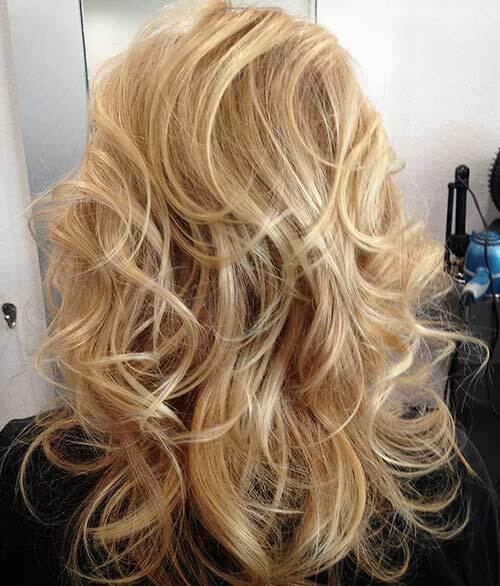 You can achieve this look with the help of a round brush and a blow dryer. 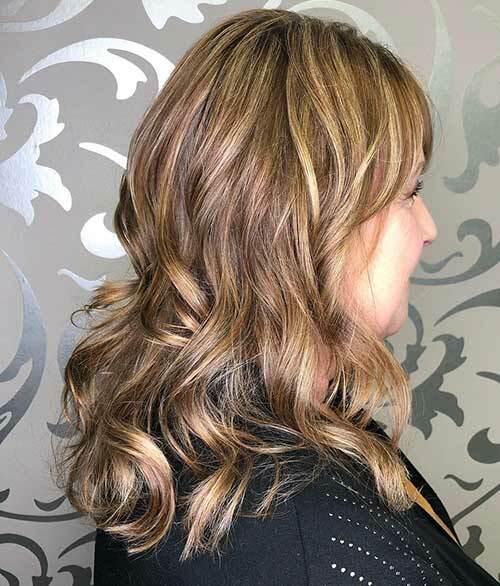 Get some highlights or lowlights to add dimension to your locks. Say hello to the choppy shag or, as I like to call it, the modern emo look. 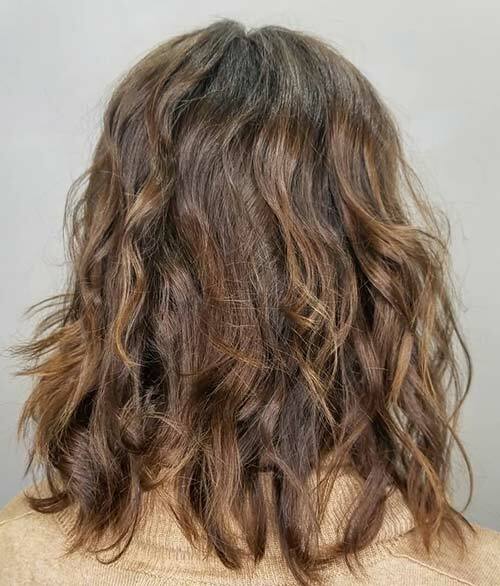 This hairstyle is comprised of multiple layers with choppy ends. The choppy ends accentuate the layers and hair texture. 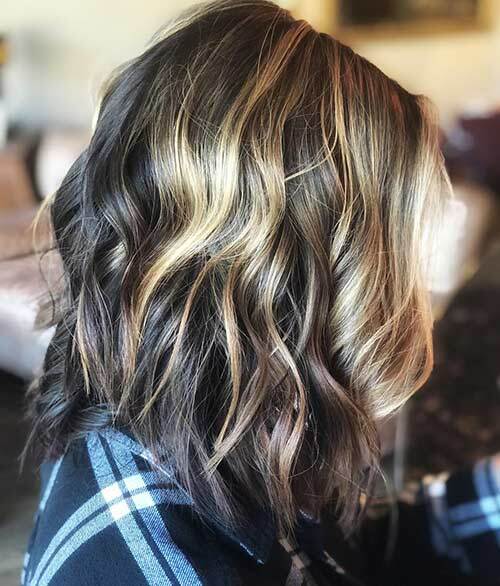 Add some honey blonde highlights, and you’ll be ready to belt out “Sk8er Boi”! 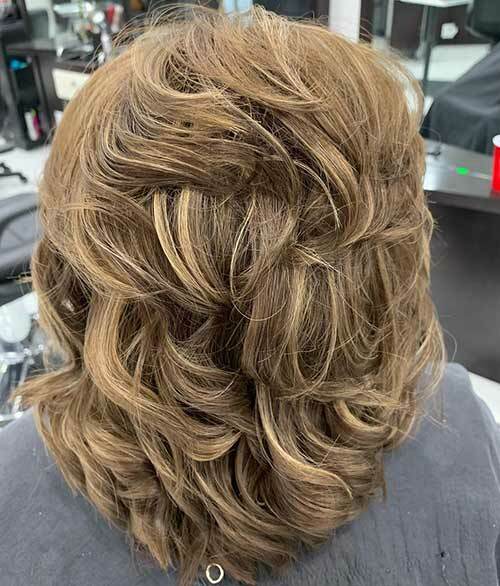 Upturned ends, in my opinion, are an underrated style. They add volume to your hair without looking too over the top. They add a suave touch to your locks while making them look thicker. 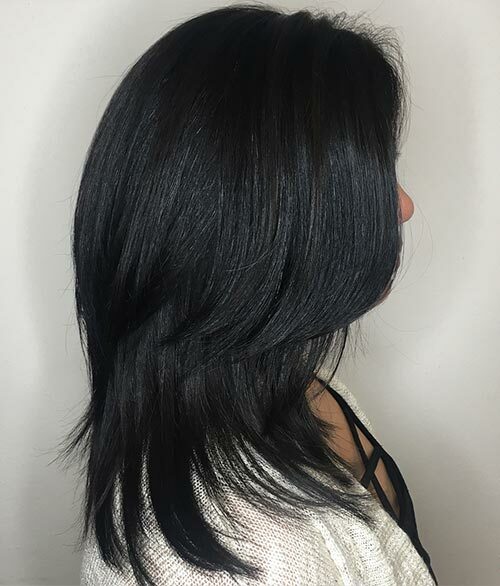 The layers of this shag are not spread all around the head. They’re mainly concentrated at the sides. Towards the ends, they’re cut all around. This will add dimension to your hair. Let’s not forget about the color that is perfect for the winter! The ends of this shag cut look like springs. (I’m talking about the springs that make your bed bouncy.) The springy ends do the same for your hair. They make your hair look voluminous and flowy. Since the layers are thinned out, this shag is best-suited for women with thick hair. I like the feathered and uneven layers. They add an angsty vibe to the hairstyle. This haircut looks great in a high ponytail. 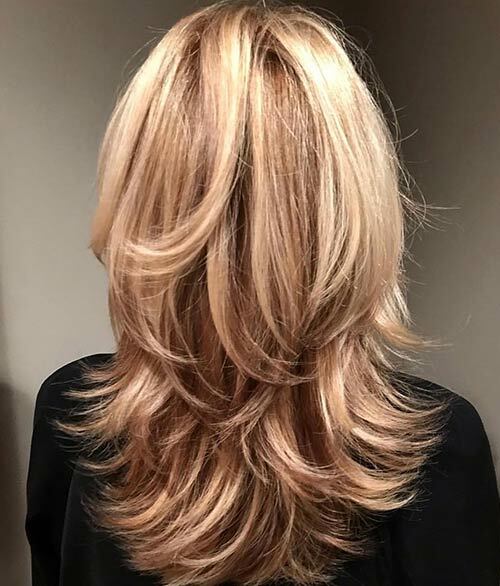 We’ve often heard of highlights, but lowlights never seem to make the headlines. Depending on your hair color, lowlights can really help frame your face and add depth to your locks. 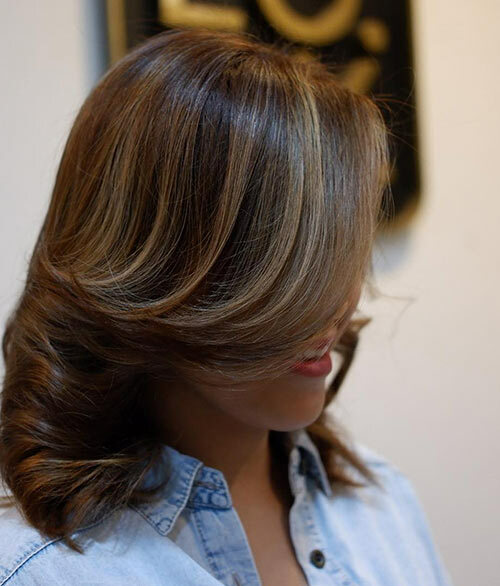 While highlights tend to pop, lowlights make your natural hair color stand out. 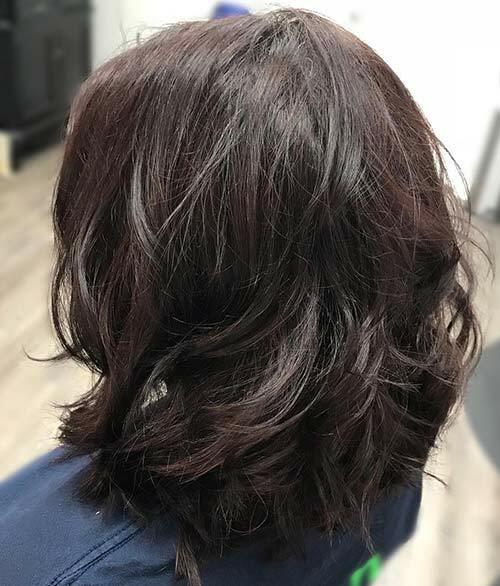 A shag cut is a great way to flaunt your hair color. 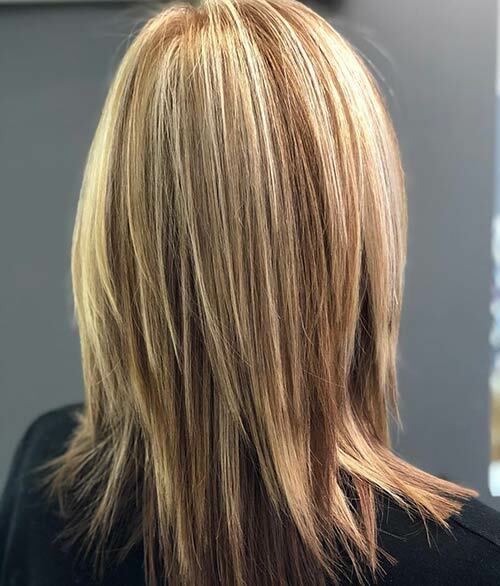 Whether it’s just highlights or a complete color change, opt for a feathered ends shag, and you won’t be disappointed. The feathered ends also make your hair color look a bit faded out and texturized. 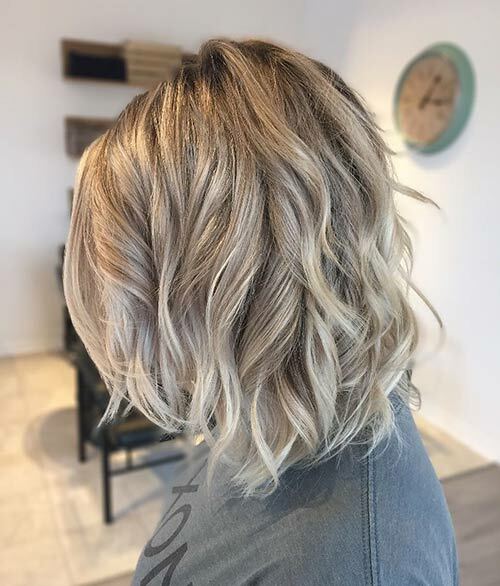 Soft ends and shaggy layers go hand in hand. When paired together, they add tons of texture to your hair. They also add volume to your tresses to give you flawless bouncy locks. 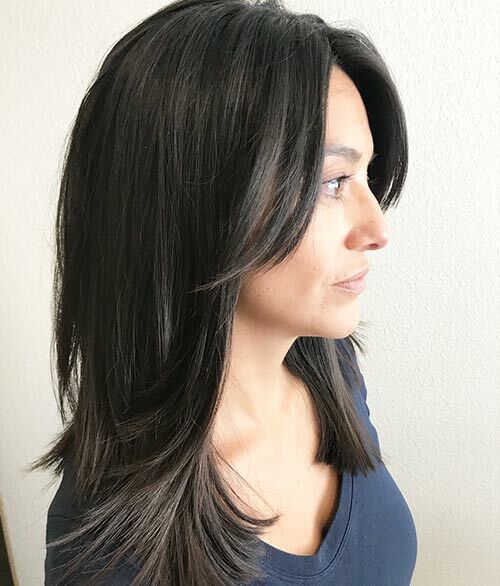 In this shag cut, the layers themselves look soft. This has been achieved by finishing each layer in long, thinned-out ends. This makes the shag appear much softer and also helps soften your face lines. This haircut is opted by women over forty. It is simple and to the point. The layers are easy to style and add texture to the locks. The layers also add depth, making your locks look thicker. Messy hair is all the rage. Everyone wants that perfect “I just got out of bed, but I’m this stunning” look. The shag cut will give you that flawlessly messy but stylish look. However, if you have curly hair, you’ll need to be prepared for frizz. This shag has been cut with the help of a razor. 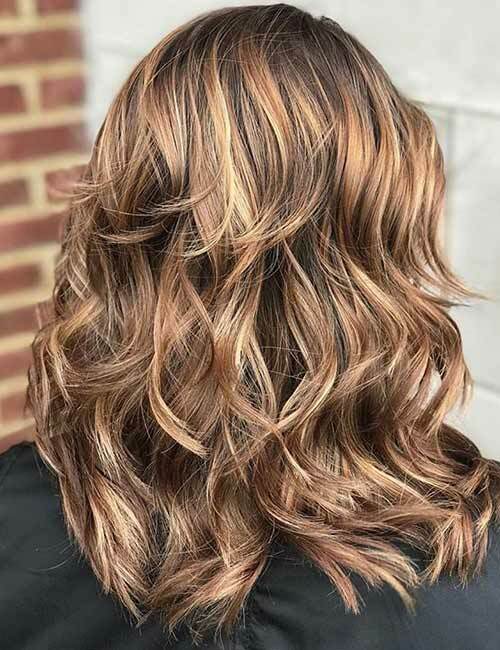 The light brown blend adds dimension, depth, and texture to these locks, making them look healthy and lush. 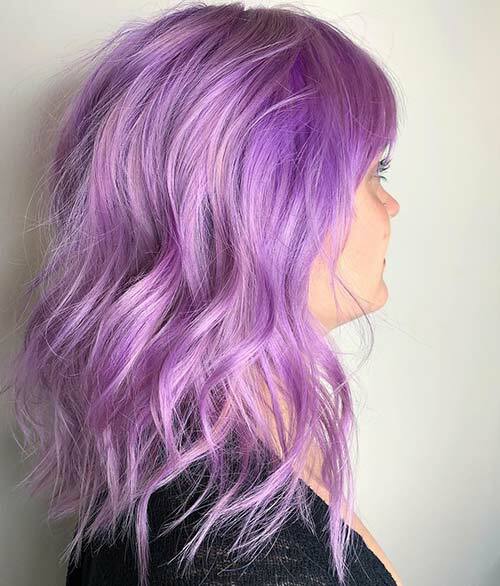 Mermaid hair is a timeless trend. 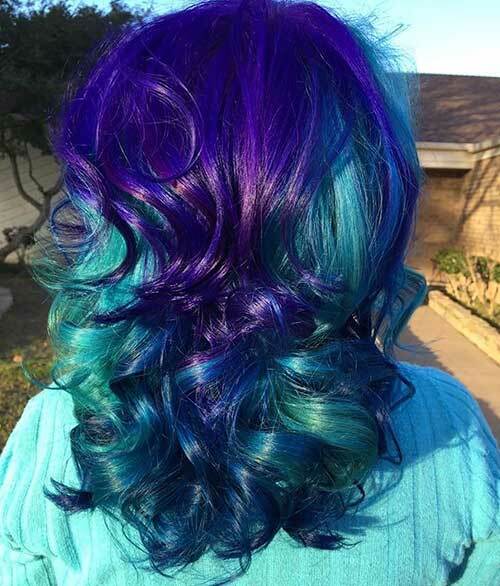 Blending mermaid hair with a shag gives you this stunning hairstyle. It is already very stylish, but the color amps it up even more. 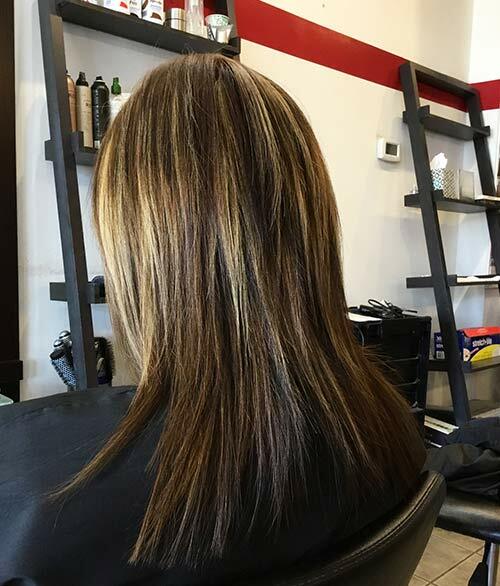 The sharp ends accentuate the layers, which balances out with the color. ‘Lob’ is short for long bob. 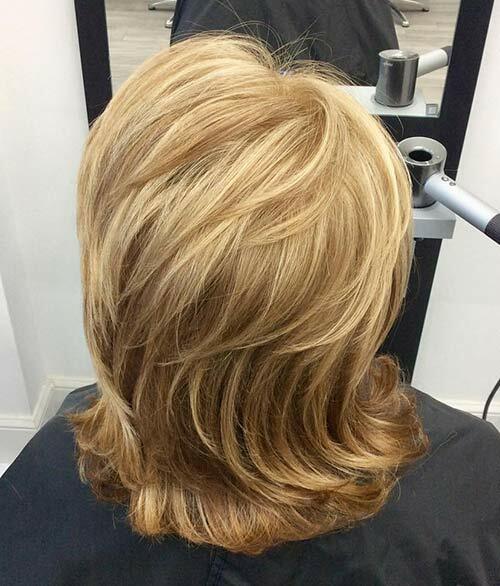 Whatever your bob may be, adding shag layers can make your hair look thicker and livelier. Thin out your ends to accentuate the hair color and volume. Sometimes, the key is to go soft. This is a drastic change from the classic shag cut. The classic shag is all about layers accentuated with sharp and flicked-out ends. This cut is softer and more balanced. It’s stunning what a ‘medium shaggy hair’ look can do to your appearance. It can add volume and make it look healthier than ever. Consult your hairstylist to find out which one will work best for you. Which one of the medium shaggy hairstyles do you want to opt for? Comment below and let me know!